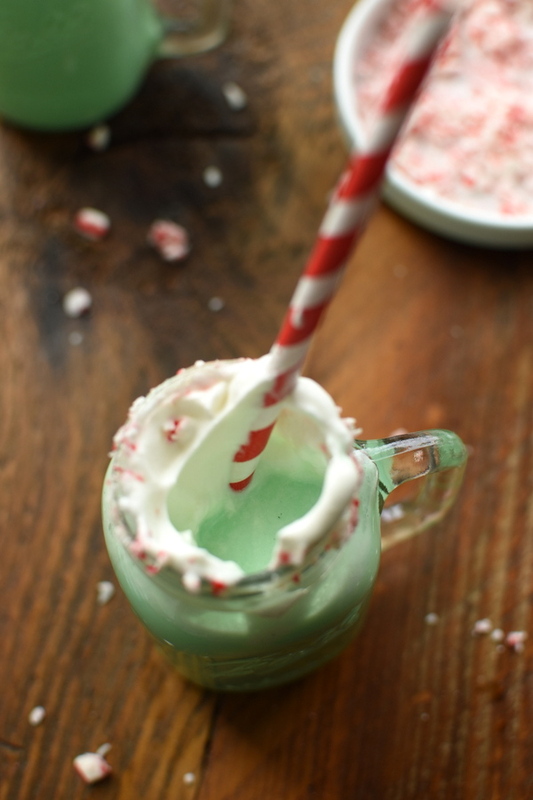 Minty Grinch Steamer: mint flavored steamed milk topped with a dollop of whipped cream and crushed candy cane pieces for a festive holiday drink. 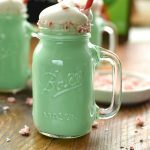 If you want to make Grinch Hot Chocolate for a warm festive drink for a movie night in, this Minty Grinch Steamer with white chocolate is the best way to keep the drink green in color. 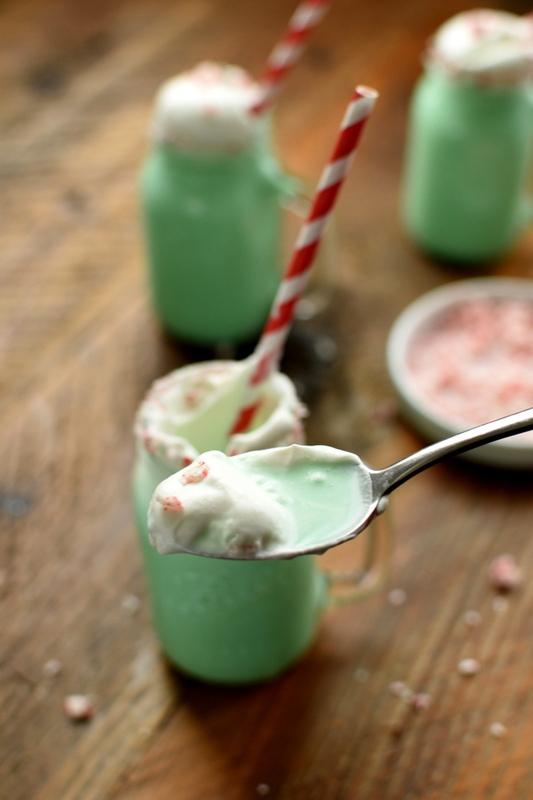 We added white chocolate and mint flavor for a minty drink that will warm you up inside and out. 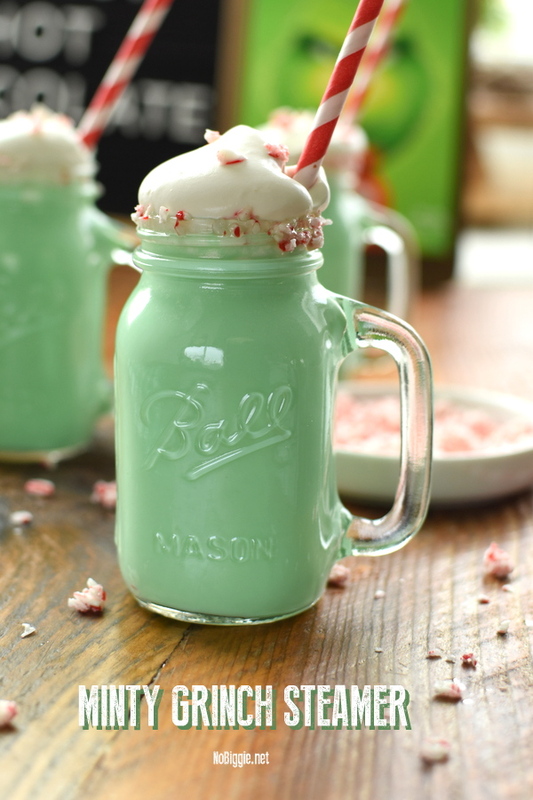 This drink is fun for a Grinch Movie Night in with family and friends. A steamer is a hot, milk-based drink that can be flavored with different syrup flavors. It is usually caffeine-free (unless the added syrup has caffeine in it) It’s a popular drink option in many coffee shops. We thought it would be simple enough to make at home. * Combine milk, and sugar in a medium saucepan over high heat. Stir frequently until sugar dissolves and milk begins to simmer (about 3 to 4 minutes). * Stir in the white chocolate until it is dissolved. * Remove from heat, add vanilla and creme de menthe syrup, and let stand for 2 minutes. 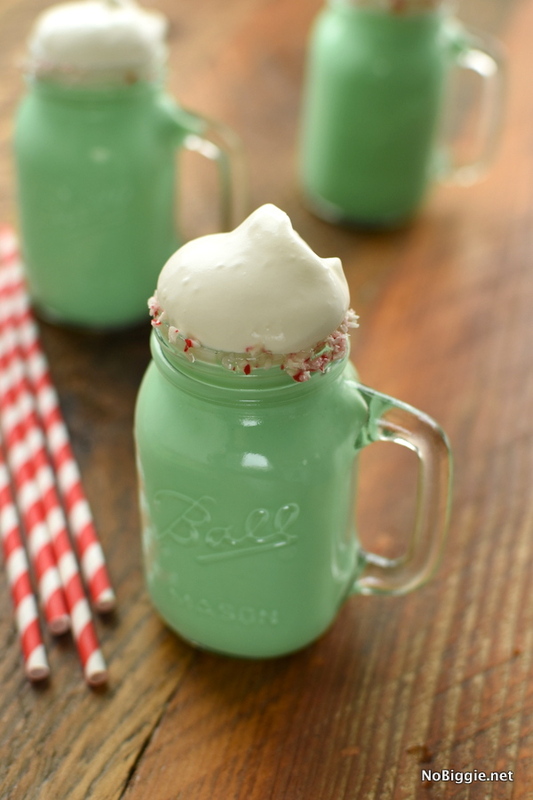 * Divide into 4 servings, top with a dollop of whipped cream and crushed candy can bits. 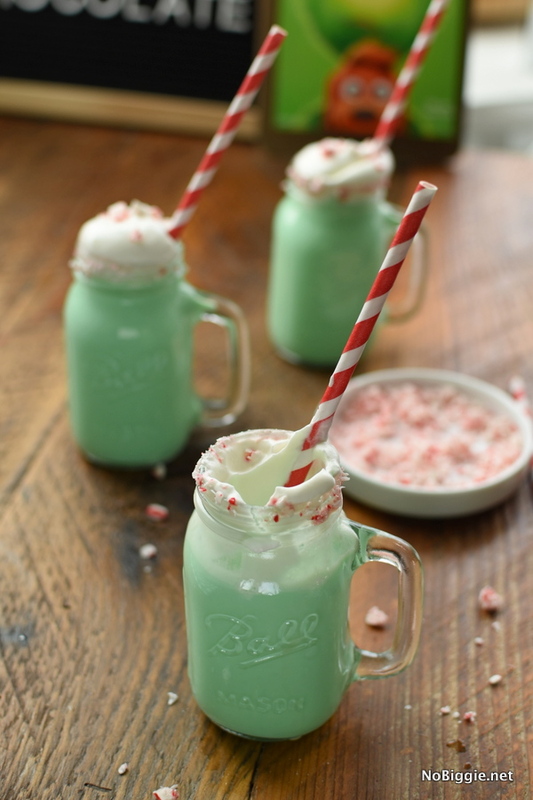 Minty Grinch Steamer: mint flavored steamed milk topped with a dollop of whipped cream and crushed candy cane pieces for a festive holiday drink to warm you up on a cold night. Combine milk, and sugar in a medium saucepan over high heat. Stir frequently until sugar dissolves and milk begins to simmer (about 3 to 4 minutes). Stir in the white chocolate until it is dissolved. Remove from heat, add vanilla and creme de menthe syrup, and let stand for 2 minutes. Divide into 4 servings, top with a dollop of whipped cream and crushed candy can bits. Have you seen the new Grinch movie? Out of all the Grinch movies, which one is your favorite?